New!You can now get SIX DVDs for only $.77.00. This is the best deal of them all. Update - DVD B has 4 more lessons, now 22 instead of the previous 18. DVD A has 21, now 24 lessons. Each is - now only $12.99 dollars. However, save some dollars by buying both for only $21.99. I have two DVD's with a total of 46 of my guitar video lessons from this website. If you want to buy both DVDs, use the PayPal button to send me $21.99 USD and you get them both shipped without any extra costs, anywhere in the world! You don't even need a PayPal account - you can use any major credit card. See testimonials below of what people think of my DVD's. I am located in Canada. Line It Up" - download it for $3.99 at my Download Store or buy the bundle - 74 minutes of lessons for only $13.99! Just recieved your Instructional Guitar Videos. These are 2 great DVD's which are very detailed and offer alot of licks that I have added to my playing. Robert has done a fine job on these DVD's. Robert Renman, you are a noble person for sharing your knowledge. Recieved the CDs. I really like them, just what I needed. As I mentioned I was not able to cross that fine mastery line because of self imposed restrictions. Your CDS have shown me how to edge closer to that rythum and that technique. To those that hold themselves back like I used to, I would say give it a shot. You might emancipate yourself into another level of knowledge and performance. In this one life, before it runs out on you, get help wherever and from whomever $16.00 is a small price for this wealth of knowledge. You won't regret it. Thanks again. Get both DVDs for $21.99 - save some cash and more fun stuff to learn from! The lessons for Superstitious and Cold Shot are longer on the DVD and have more instructions on how to play those songs, compared to the website versions. Otherwise, the DVD's include the same material as on this website. The cost is $21.99 USD for each. Shipping is included to anywhere (except to Mars and other planets). I prefer taking payment through PayPal but a money order will work fine too if you prefer that option. Shipping is done through Canada Post. There are No Tabs included with the DVD at this time, sorry. For more information, please contact me. Since the videos are free on my website, why would anyone want to buy these? Well, for one thing, the video and quality is really good on the DVDs, compared to the website videos. It may also be a lot more convenient to be able to watch the DVDs on a big TV screen when practicing guitar, compared to fiddling around with the computer and this website. Last, but not least important - you also support my ongoing work on this website by purchasing these DVDs! In order to keep the costs down, I am now just writing the name of the DVD with a black marker on the DVD itself. I used to create a nice looking label on the DVD, but for several reasons, this has become a pain for me. So, in short, I am able to provide these DVD's for lower price now by not adding the fancy label. I am sure most people would rather save some dollars this way, since the content of the DVD is the same as before. Hopefully it's the content that matters in the end, anyway, and not the looks of the physical DVD itself. DVD A focuses more on songs and licks, compared to DVD B.
DVD B focuses more on techniques and scales, compared to DVD A. You can get both DVDs for $21.99 - save some on each DVD and get more fun stuff to learn from. The price has been lowered down from the previous $45.00, so this is a pretty good deal. I ship DVD's the same day or the day after you send payment. I ship DVD's by using Canada Post, and if you are in the US, you can expect it to take 7-12 days to get the DVD. If you are in Europe or Asia, it could take a similar amount of time, but it could take 1.5 - 3 weeks or more, in worst cases. Furthermore, I am not able to provide you with a tracking number. I am in the process of developing a new DVD - a blues DVD with original jam tracks where you learn both the rhythm guitar and the lead guitar. Stay tuned for more information. Release date is yet to be determined. The Blues DVD will cover a range of blues songs - Texas shuffle, boogie rock, Texas rock, Minor Blues, Major Blues, Funky Blues, Swing Blues, etc. It is my intention and hope that beginners to intermediate players will learn a lot about playing the blues from this DVD. You are a talented and versatile guitarist. Thank you for sharing your skills and knowledge in this helpful way. I would never have gained this amount of insight into guitar technique by spending even three or four times that amount of money on guitar magazine subscriptions. Your video lessons will now become a valuable part of my practice routine. 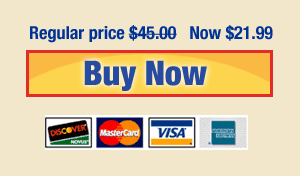 "purchased your Guitar Lesson DVD and I find it a great benefit in my learning to play guitar. Your lessons are very easy to understand and you do a very good job at slowing down the more complex parts of the lesson so it's easy to comprehend. The production quality is excellent and I hope you continue to give us more lessons, acoustic ones too! Love the site!" The dvd I bought and the online lessons are great and I have learned a lot from them. I really enjoy playing at home and am finding ways to explore boxes, phrases and responses...most of my exploration is basic but I have a huge amount of fun with it. Hey Robert, I received the two DVD lessons and I just love them! They really help me with my practice sessions and I especially like your technique of slowing things down and explaining what you are doing. Hope you produce more DVDs like those. I received your DVDÂ´s yesterday (very fast !!) and IÂ´m very grateful for these lessons. Some of it is easily to handle for me, and some licks are yet slightly above my actual playing level, so it fits perfect to my needs ! I like the way you explain the techniques and by the way, youÂ´re just a marvellous guitar player ! They came today and I am already learning. You have a very good teaching style. I attribute much of my progress to you. Your DVD package arrived and I am getting the most out of it that I can. I could not seem to get the "Sweet Home Alabama" Lynyrd Skynyrd riff/ fill down by ear, so I am glad that you showed that. The hardest thing for me is left hand muting; I developed a habit of using my right palm. So far your DVD has been a big help. I just recieved the DVDs today and have since reviewed both, in their entirity. I wanted to convey, how well pleased I am with this purchase. You have produced two wonderfully diverse, detailed, content filled, excellent quality, DVDs! It will take me quite a while, to try and master, all you've offered up here. I'm a huge SRV fan and I especially like the instruction on the particular songs of his, as well as , the other parts that relate directly to his playing style. Robert, the mark of a great product, is the fact, it leaves the customer wanting more! Well, that's the impression I get from these two DVD's. I'd love to see you produce some artist specific DVDs sometime, like an SRV or a Skynard, etc. I do appreciate your time, effort and work on these DVDs and look forward to more in the future. I believe I got a bargain for my money. Read the comments from a member on the Harmony Central Guitar Forum. Thank you for en excellent DVD, I have a lot of pleasure with it. Many thanks for your DVD which arrived a couple of days ago. Very impressed and I now look forward to your next covering Blues. Bought your CD late last year...am really having a lot of fun learning from your techniques and walk thrus. Well, I just really think this is a perfect instructional DVD for a guitarist who's got about 2-3 months of playing time building basic chord forms and has a really basic foundation, but can't quite "play" yet. I've been learning seriously for just about 3 months, and I'm able to play a few songs, and a few simple solos, but having this DVD to teach me how to play great songs like Cold Shot, Back in Black, Sweet Home Alabama and the classic Johnny Be Goode. Being able to play actual, recognizable songs is the reason I picked up the guitar in the first place, and this DVD is just great. Thanks a lot. I got the DVD. Hey it's fantastic! I love your camera angles on the strumming stuff. It cleared up a lot of confusion for me with that. The video is superb. Really superb.